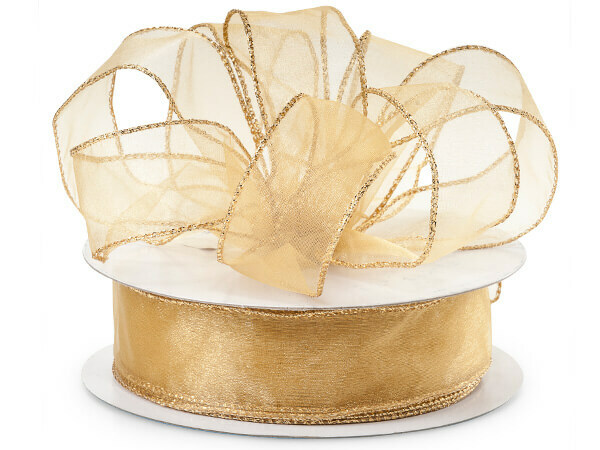 Wired Metallic Edge Sheer ribbon is a beautiful shimmer sheer fabric ribbon with a coordinating wired metallic edge. The edge has an interwoven metallic thread which gives the ribbon the high end look without any glitter coming off the ribbon! The wire gives the ribbon extra body and is made from 100% nylon for extra shimmer. Available in large roll 1.5" x 50 yds at a great price.